hd00:30Medical surgical arm brace man in pain.Adjustable prosthetic arm brace rubs arm in pain after accident. Mechanical medical prosthesis, compression bandage glove used to stabilize elbow after surgery. hd00:30Medical man in arm brace after surgery. 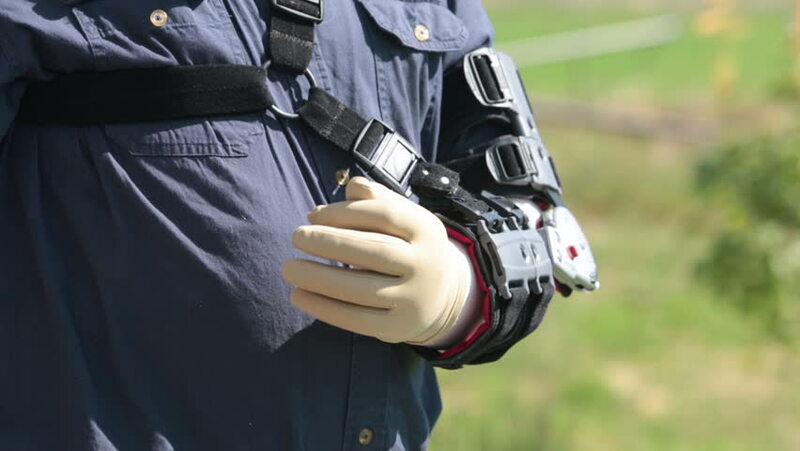 Adjustable prosthetic arm brace rubs arm in pain after accident. Mechanical medical prosthesis, compression bandage and glove to stabilize elbow after surgery. hd00:12Slow motion of catcher at baseball game getting ready to receive ball from the pitcher. hd00:16NEW YORK - NOVEMBER 16: USFA Harvest Bowl on November 16, 2013 in New York. The Brooklyn Seminoles take on the New England Soul in Tilden Field, Brooklyn, New York. hd00:30American football. Determined American football player holding a ball with both his hands in slow motion. Close-up of american football player holding a ball. Preparing for the game. Training. hd00:15HAMILTON, BERMUDA - FEBRUARY 2014: Close up of male fingers holding the chanter of a Scottish bagpipe dressed in the uniform of the Bermuda Island Pipe Band. hd00:30Man filling pickup truck with gas. Person at station re fuel for a road trip. Expensive cost of living caused by environmental regulations. Need for USA to become energy independent. hd00:20Emergency hospital portable MRI on patient. Man lays in Magnetic Resonance Image device to look deep into soft muscles and bones. Injury diagnostic before surgery. Doctor radiologist clinical exam. hd00:27EPHRAM, UT - DEC 13 - (Fast motion) Consumers purchase goods at Walmart during the busy holiday season December 13, 2011 in Ephram, Utah. hd00:30Hospital ER emergency MRI image scan man. Man lays in Magnetic Resonance Image device to look deep into soft muscles and bones. Injury diagnostic before surgery. Doctor and radiologist clinical exam. hd00:30Hospital emergency MRI on man patient. View through protective screen window. Man lays in Magnetic Resonance Image device to look deep into soft muscles and bones. Injury diagnostic before surgery. hd00:30Abandoned building homeless man in corner sleeping HD. Homeless man long hair beard sad and poor sleeping. Man down on luck, poor, hungry and depressed sits on discarded cardboard in urban city.